Buy Shadazzle No Streak Cloth on Amazon now ! Streak-free, spot-free and lint-free using only water. The Shadazzle No Streak Cloth is machine washable, reusable and extremely long lasting ! Shadazzle No Streak Cloth ? The Shadazzle No Streak Cloth is the best eco-friendly cloth you will find. It is perfect to clean everything very effectively, and only with water ! 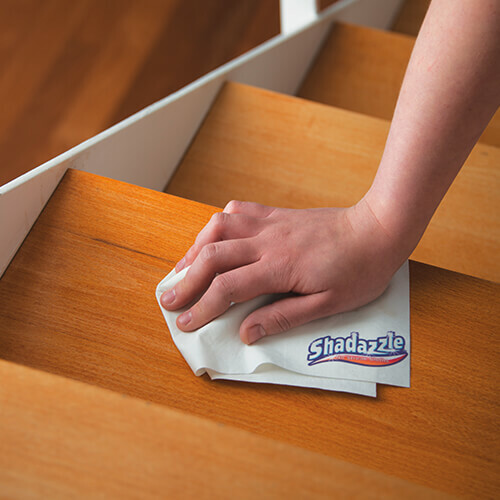 No chemical detergents are needed when you use the Shadazzle No Streak Cloth. Made of nanofiber, this cleaning cloth is highly absorbant and thus leaves every surface perfectly clean. With Shadazzle No Streak Cloth, the possibilites of usage are countless ! grease, and grime with just the addition of water ! Use them to wipe down a variety of surfaces, including mirrors, windows, countertops, and stainless steel.